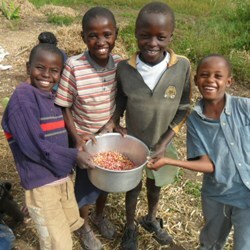 Kids Alive International - Help us feed a hungry child! Help us feed a hungry child! It costs 38 cents per day to feed a hungry child in Africa. Would you partner with us to help us beat hunger and change a child's life forever. Thank you for partnering with Burgerhaus and Kids Alive to change a child’s life today!